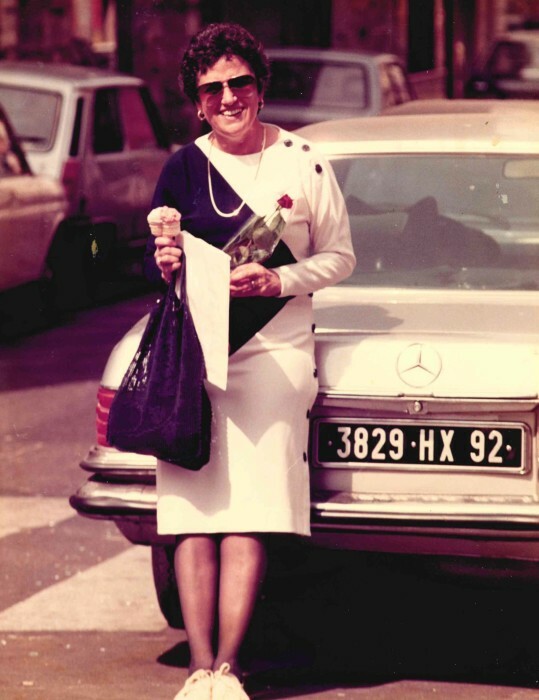 June 12, 1935 - February 2, 2019, Angie was born and raised in Niagara Falls, New York in a true Italian household. She met her husband while attending Niagara University and they married in April of 1959. Together they had four children: James Francis, Therese Veronica, Peter Gerard and Anne Divina. They moved around the United States quite a bit with IBM living in Endicott New York, Gaithersburg Maryland, and Houston Texas before settling down in Cocoa Beach in 1978. Angie moved to St Augustine in 2016 to live closer to her daughter’s family. Angie was preceded in death by her husband Franklyn Charles, and she is survived by her 4 children, 2 son in laws Anthony Ralph Bottino, Roy Robert Mathews and 4 grandchildren: Sarah Eleanore Bottino, Peyton Kellam Mathews, Kelly Francis Bottino and Audrey Divina Mathews. A funeral mass will be held at the Church of Our Saviour in Cocoa Beach on Saturday, February 9 at 11:00 a.m.